Hi, I’m Stuart from the Glasgow Studio. I have lived in Scotland most of my life and graduated from Glasgow University in 2014 with a Masters in Civil Engineering. Before joining Civic Engineers I worked for a year and a half as a structural engineer with an international oil and gas services company based in Aberdeen. While I was there I met and worked for Isla, our local Studio Director, and had the chance to travel offshore to carry out structural surveys in addition to my day to day design responsibilities. I moved back down to Glasgow in 2016 to be employee number 6 of the newly formed Glasgow Studio, which has gone from strength to strength over the last year and a half. I knew when I made the move that it was an exciting opportunity, working on a wide range of interesting projects and taking on greater responsibility within a smaller company. All of that has proven to be true, helping me develop towards my chartership with the IStructE. Outside of work I love exploring the Scottish Highlands. I’ve been a keen rock climber and hiker since a child, travelling up on weekends to tackle different Munros with family and friends. I horde my annual leave so I can complete different long-distance treks across Europe, my proudest example being the Cape Wrath Trail which I completed in September 2015. 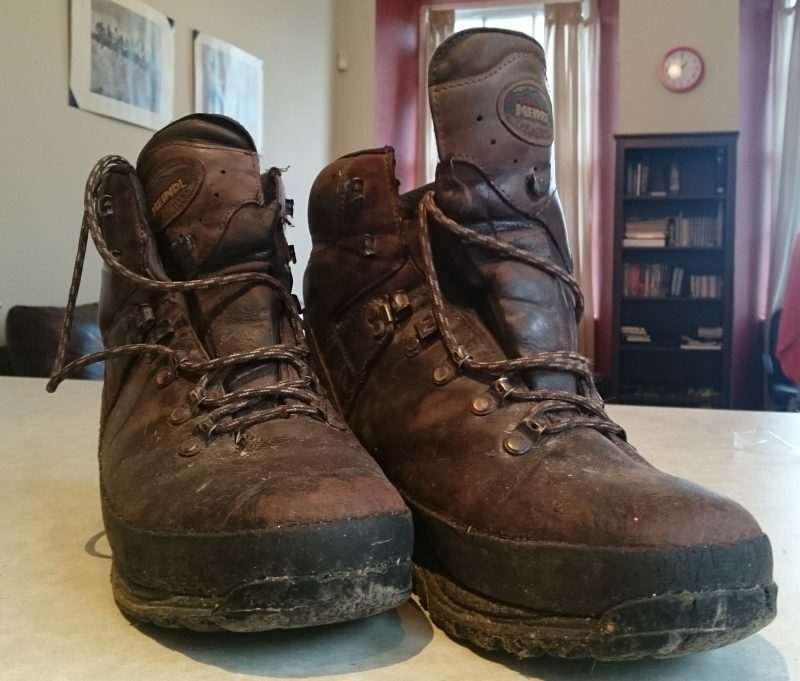 Below is a photo of my hiking boots which have carried me hundreds of miles over the last 8 years, in need of some TLC after my latest trip!